BEDFORD CHAMBERS is a composer-arranger who has edited many works for Caritas Music Publishing in the Educational, Song and Choral genres. JAMES DOUGLAS: Composer, Accompanist and Organist (born Dumbarton, Scotland). Studied: Edinburgh and with Professor Hermann Reutter in Munich and Salzburg. Also, with Professor Henri Lauth of the Paris Conservatoire. These two musicians had a formative effect on his musical development. At the forefront of Classical Music in Scotland, James Douglas' most recent CD is called 'Land of the Lochans,' (the 12th CD in the Caritas Live Series). He has also published 'Visions of Glory' on CD and a Sheet Music book with David Adam. 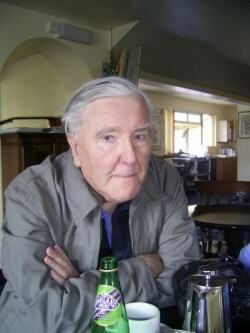 Douglas has written works in all genres published by Eschenbach Editions and Caritas Music Publishing as well as 16 CDs of his music recorded by Caritas Records. He resides in North West Scotland. ANDREAS PETERSEN is a composer-arranger who has edited and arranged works for Caritas Music Publishing in the Choral and Educational genres.